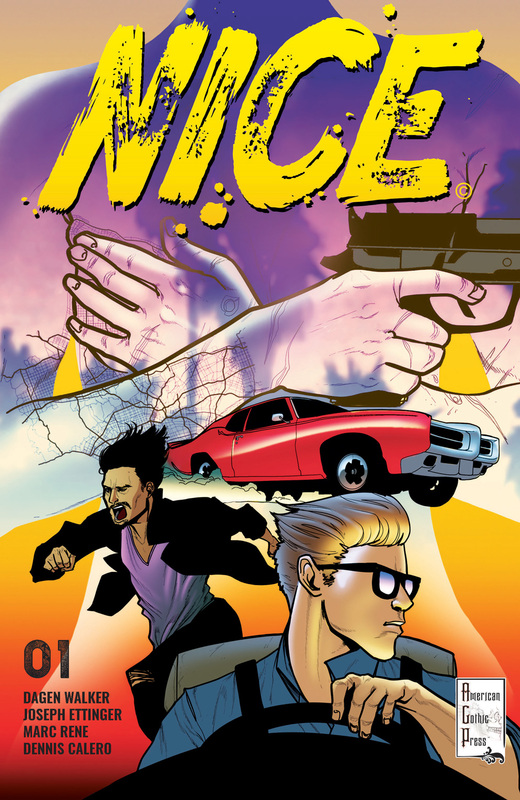 The first issue of NICE releases on December 5, but we’ve got the first six pages as a special preview right now! 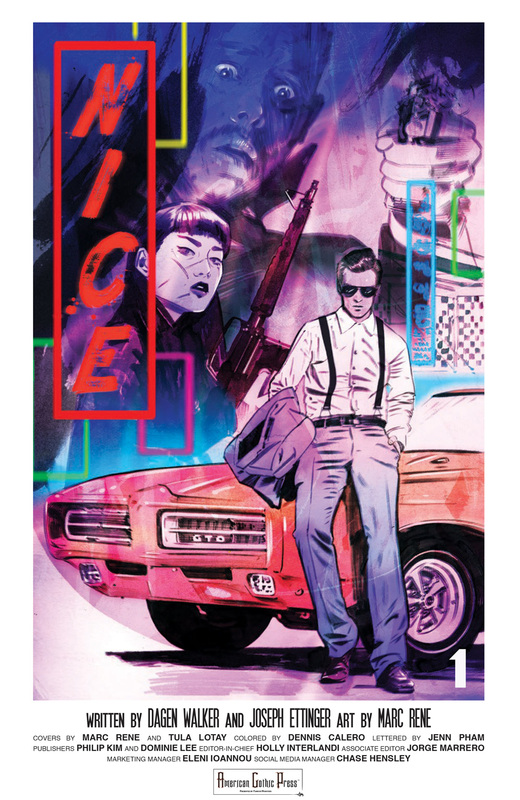 A hipster noir saga of blood and upright manhattans, NICE tells the story of Kevin and Jose, bored twentysomethings running errands for a massive crime organization and going to the bar afterwards. 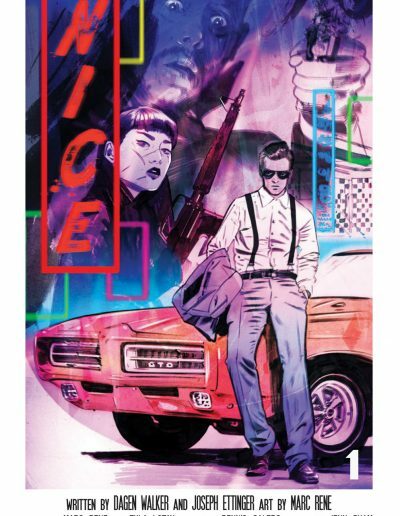 The hard-edged Detective Hanin is on their trail after being the target of a hit, and she’s determined to uncover the truth. 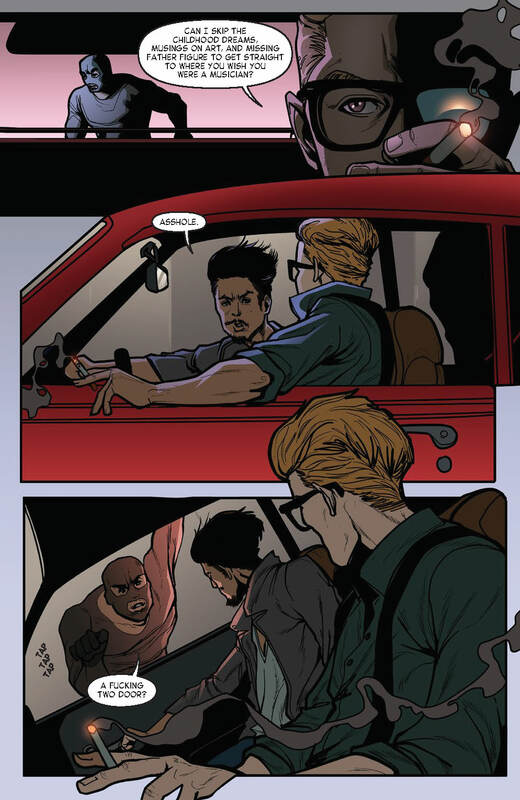 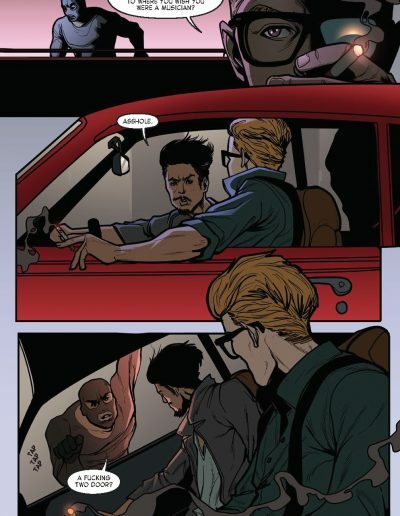 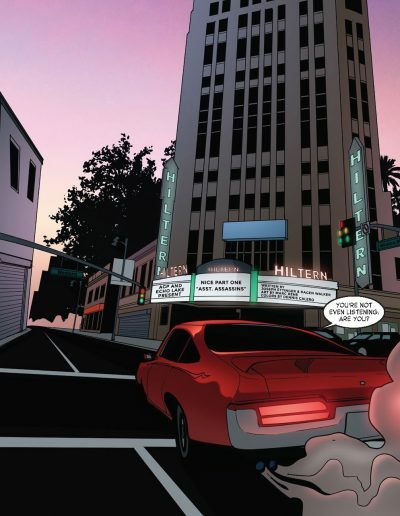 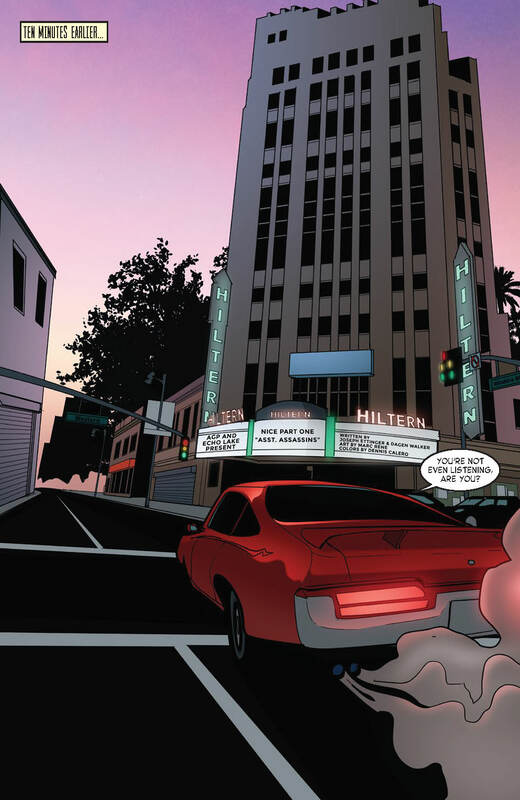 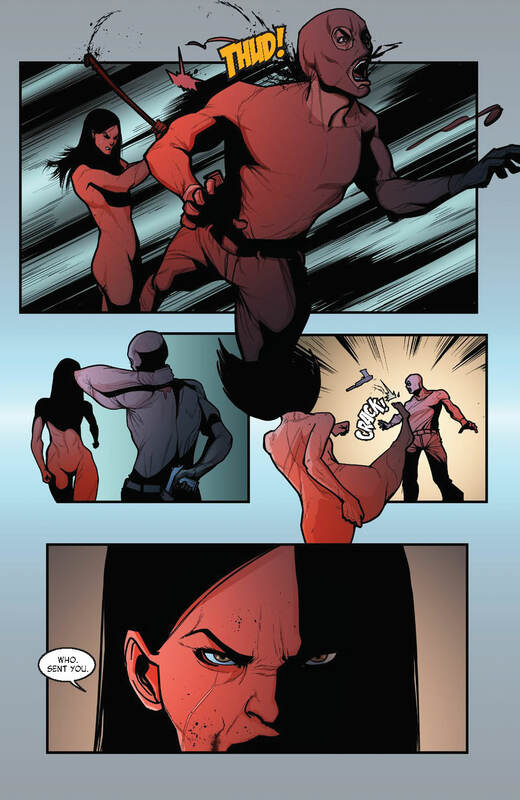 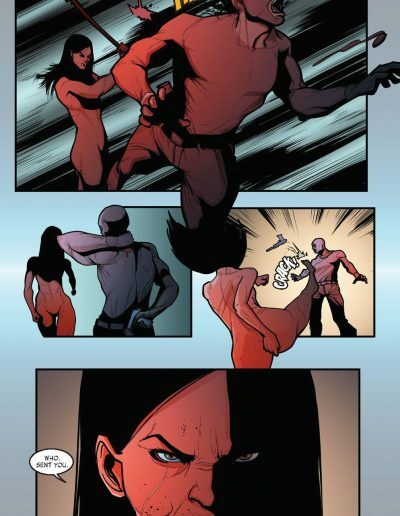 The mini-series is based on a pilot screenplay written by Dagen Walker and Joseph Ettinger, who also wrote the comic adaptation, and illustrated by Marc Rene, with colors by Dennis Calero and letters by Jenn Pham. 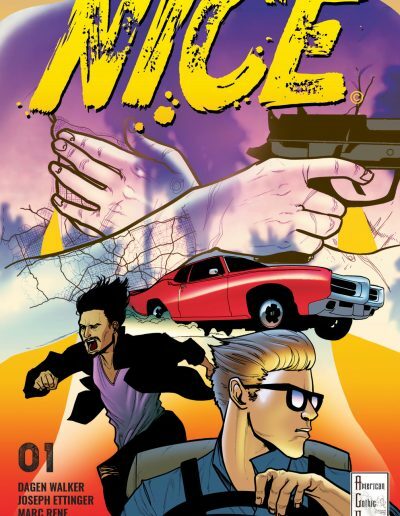 Preorder your copy of NICE #1 from CaptainCo!